Meet our new composting bin. 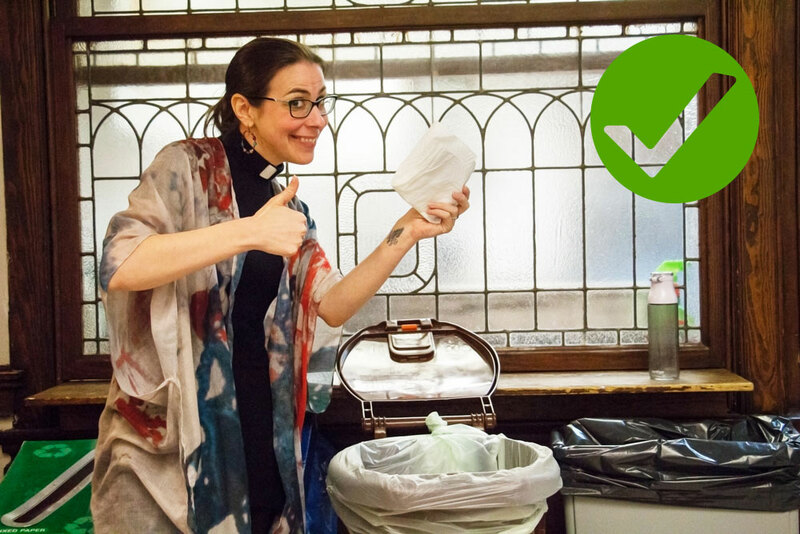 In our efforts to be more environmentally conscious at Advent, we set up composting with the city and got a composting bin. It's brown, and it lives downstairs, just outside the kitchen. Composting is a natural process of recycling organic matter (like food waste) into nutrient-rich soil conditioner. This means our food waste can make the Earth (and us) healthier, instead of getting stuck with all our human-made trash. But for composting to work, we need to make sure we're putting the right things in our composting bin. So here's a quick guide. 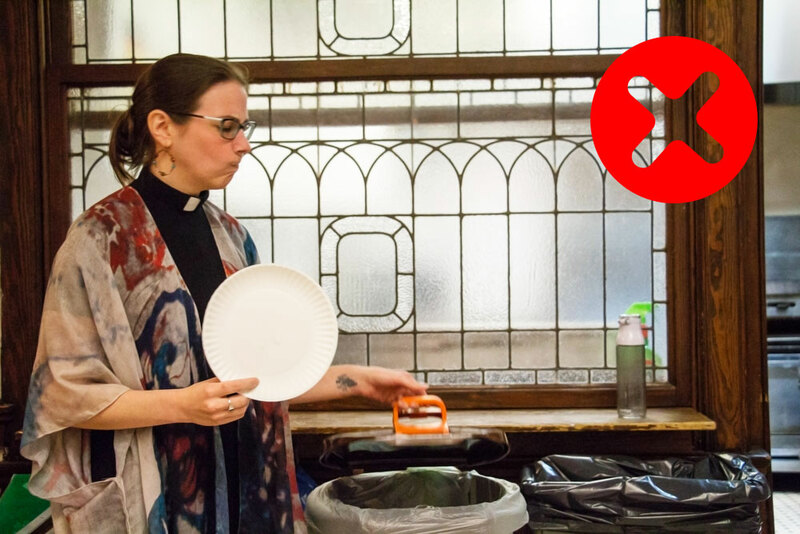 Food-soiled, paper plate? Put it in. Clean plate? Recycle it instead. Food in packaging? Take it out first. Basically, only food and paper products with food on them belong in the composting bin. Anything else belongs in a different bin. 1. Our composting service does allow us to put meat and bones into our composting bin. (Not all do.) We would have done a picture. We just didn't have any around, and buying some for a photo kind of undermines the point. 2. Full instructions on what is ok and what is not ok to put in are on the lid on the composting bin. If you're unsure, please take the time to read them before putting something into the bin. Thank you for helping us be great composters here at Advent!